How many odd, nuanced thoughts fly through your conscious mind each day? 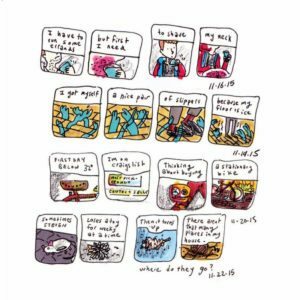 Kevin Budnik has taken the liberty to record his ponderances as comic strips that read like amusing Haikus. They strike an emotional chord but manage to morph sadness and melancholy into a smile, giggle, and sometimes laugh-out-loud reflections in the best tradition of Charles Schultz.